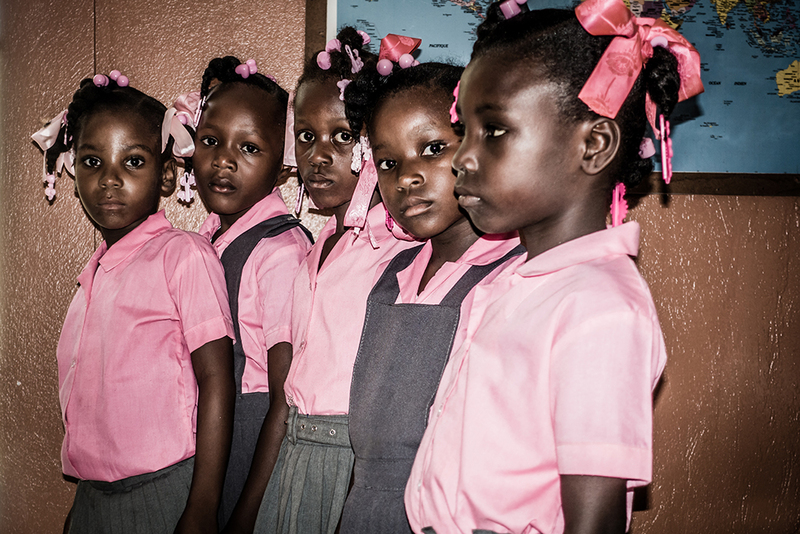 The largest part of the aid projects of Haitihilfe Heinz Kühn is to enable children to attend the 1st to the 6th grade of school. Overall currently 842 students from 19 different schools are supported in Port-Salut and around. A child must pay about 35 to 90 US dollars for class, books, uniforms and school meals per school year. Based on an average per capita income of less than one US dollar per day, this tuition is not affordable for most Haitians, especially as families often are with many children! We visit each school and talk to each of our godchildren personally. The team on site supports us in organizing and implementing our school visits active. To teach the children that the support should not be taken for granted, they have to prepare a small thank you in the form of a self-painted picture and some words of thanks in return. These "fiches" are deliverd to the godparents in Germany. This tightens the personal relationship between godparents and godchildren and strengthens the children's awareness for the support they get. The number of students who can go to school trough the support of our project depends on the donors in Germany. With a donation - no matter at what level - you can take over one or more sponsorships for children in Haiti. Of course, this is without obligation. You do not agree on a sponsorship for six years.